Beware of artificial sweeteners. Although evidence of whether or not they are harmful to your health is inconclusive, they are artificial so it is probably best to avoid them. LC Foods Company offers a variety of low carb sweets, fresh baked and mixes, that don’t contain any artificial sweeteners. We only use natural ingredients. From brownies to banana bread to chocolate chip cookies, we’ve got a low carb version of your cravings! Know your fruit. Fruit is nature’s candy. You can reference this low carb pocket guide on our website. 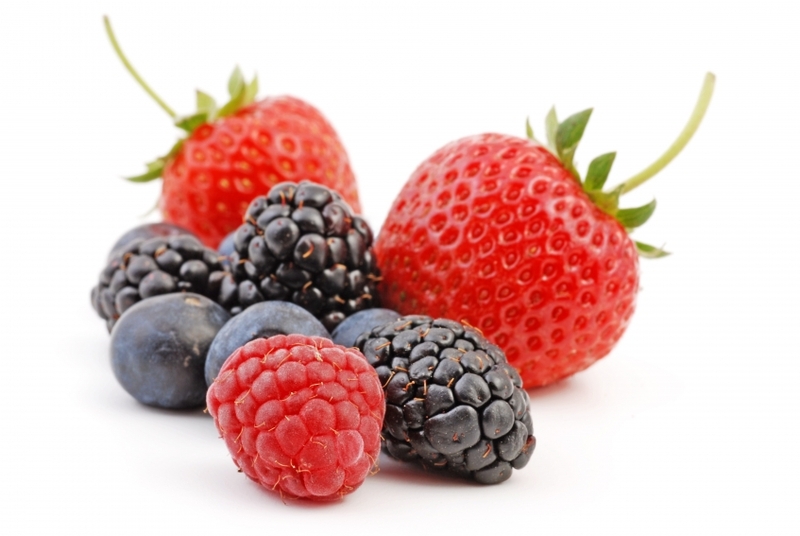 Berries are lower in carbs than other fruits, particularly raspberries, blackberries and strawberries. 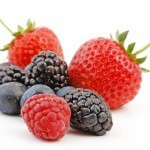 A delicious way to enjoy berries for dessert is to pair them with some homemade whipped cream. Just whip up some heavy cream with a splash of vanilla extract. Or pair them with the chocolate mousse recipe below. Flavored Seltzer. If you used to be a soda drinker, or still are, switch to flavored seltzers. Look for ones that are naturally flavored with no sugar or artificial sweeteners added. The flavor options are endless and provide a delicious and healthy alternative to soda. Make a delicious, easy, low carb mousse using full fat coconut cream. Simply put a can of coconut cream in the fridge overnight. The next day, scoop out the creamy part that has separated from the liquid in the can. Whip it up with your favorite low carb sweetener, such as sugar free maple syrup or Low Carb Sweet Drops, and unsweetened cocoa powder for a chocolate mousse! You can also use peanut butter instead of the cocoa powder for a delicious peanut butter mousse! Add a few berries or unsweetened toasted coconut for some extra flair! Do you have a low carb sweet tooth tip? Let us know on our Facebook page! We hope you have enjoyed this series on getting back into your routine while maintaining your low carb lifestyle. From what to eat to basic cooking ideas, we hope you learned something new and found these tips to be helpful in your low carb journey. As always, we would love to hear how you are doing on your low carb journey. Feel free to reach out to us on our Facebook page! Thanks for reading and best low carb wishes!